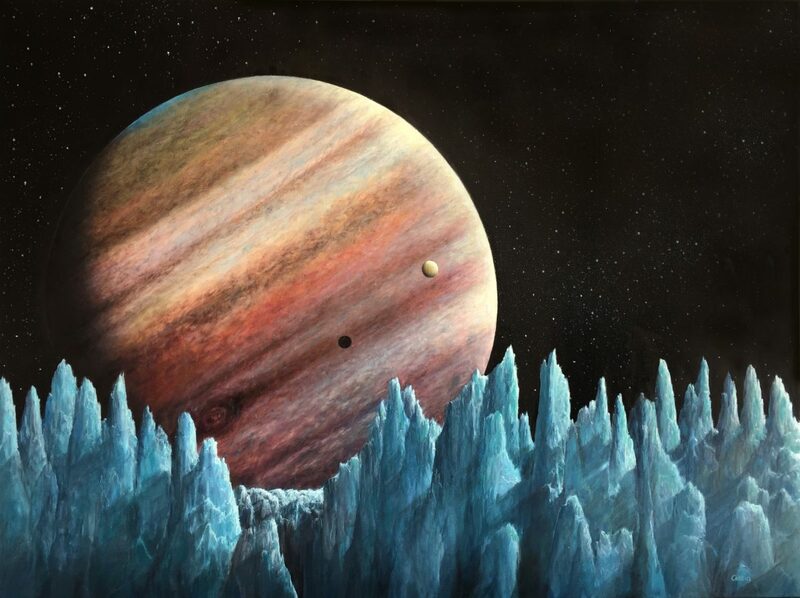 Ice blades ( 10-50m high Penitentes ) have not been directly observed on Europa although there has been a lot of discussion about the possible likelihood as a potential barrier to exploratory landings given their existence in similar scenarios. This oil on canvas original, 60x46cm, is set on equatorial Europa looking to Jupiter across the orbit of IO. This artwork is copyright © Simon Cattlin. All rights reserved.